As personalization becomes more important to customers, marketers are searching for the holy grail of delivering individualized experiences to customers. Content, experiences, offers geared toward one person are significantly likely not only to increase customer spend, but their emotional bond with a brand. To go beyond brand is a sure path to habituating your business within your customer’s daily lifestyle. And doing so requires you to think outside your main product and service offerings by stretching your content and offers and partnering with “extender” brands. Today’s customer wants preferential treatment and is willing to pay a premium for it. In a recent study, 37% of customers are willing to pay more for a tier that unlocks preferential benefits. This percentage increases when looking at younger generations segments: 47% for Gen Z and 46% for millennials. And we can see the benefits resulting from paid loyalty, with winning examples such as Amazon Prime. Unfortunately, we’ve all seen what can happen when our favorite brands fall into the discounting cycle. Every day is a sale that fails to differentiate the brand from the other stores that are all having 40% off, which continually erodes margins and can cut into the quality of the product at best, severe liability and disenfranchisement at worst. The discounting approach typically attracts the low value customers who are likely to jump to another brand as soon as a comparable sale comes around. Every brand is working to deliver personalization as effectively as they can, and with good reason. Personalization can reduce acquisition costs by as much as 50%, lift revenue by 5% to 15%, and increase the efficiency of marketing spend by 10% to 30%. However, according to Ascend2, 63% of marketers list personalization as one of their top challenges. Numbers like these, and cautionary tales told by experts like Gartner that “marketers must tread light in their personalization efforts to appease both consumers and regulators” make personalization seem much more difficult than it is. In fact, a key to easy personalization is loyalty, simply due to the fundamentals of the data exchange inherent in loyalty initiatives. Make no mistake here – we’re not suggesting brands do away with points or get rid of currency entirely. You can make your program look like whatever you want it to. 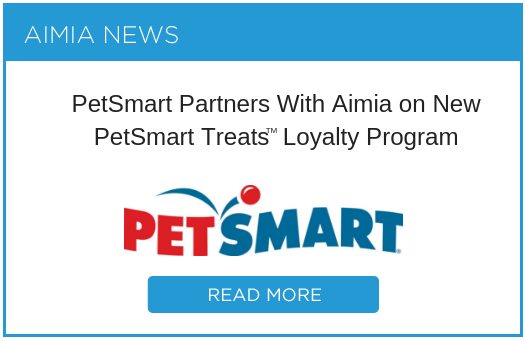 What we’re suggestion is thinking outside of points in terms of structuring your loyalty program. Many brands hesitate to implement a traditional program because of the liability that may be associated with points. This requires marketers to gain additional buy-in and expertise from their financial and legal teams. Or, some brands see points-based loyalty as another deep discount mechanism that lacks differentiation from one business to the next. Seriously. We're not just being biased here. Read on. Want to personalize? 63% of marketers are struggling with data-driven personalization. Want to solve for the huge churn from one transaction to the second and third transaction? Increasing retention by 5% can yield 25% to 95% increase in profits. Want to create a shared, single view of customers across all business units? The loyalty statement has long been a staple for programs. However, the monthly direct mail statements of old are being replaced by real-time trackers and email statements that use the principles of human motivation to influence customer behavior. Most people don’t know how many points they have with their favorite brand, therefore they’re not aware of how close they are to that next tier, next reward, next status. Incorporating the right elements into your loyalty statement plays upon the motivational cues that drives member behavior and keeps them engaged with the brand, while continuing to build that one to one relationship with the customer through recognition. Every brand has its own design for statements, but the most effective statements leverage the psychological motivators behind goal setting to keep members hooked and driven toward moving to that next milestone. Need the Latest Trends? Subscribe Here!